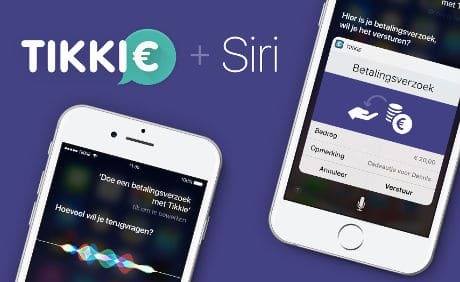 Customers of Dutch bank ABN Amro will soon be able to use Apple’s Siri voice command system to create payment requests by speaking through Tikkie, the mobile app launched by the bank in June 2016 to enable purchases to be requested and sent through messaging platform WhatsApp. “With Tikkie interfacing with Siri, it will be even easier for users to ask for payments,” ABN Amro says. “They give the instructions and Siri does all the work. The user states the amount and description, and then simply chooses who will receive the request. Tikkie works by creating a link that can be sent with a WhatsApp message. The person who receives the message is directed to Dutch payment method iDeal and the money is automatically credited to the requester’s existing current account. It has already been installed by more than 100,000 users, according to the bank.